There is no better feeling than taking a long drive down a winding country road, away from the noise and bustle of the city. However you must remain alert and conscious of the potential dangers. Country roads have an alarmingly high fatality rate. In fact 60% of all road fatalities in the UK occur on country roads. Eleven times more people die on country roads than on motorways. The problem is that drivers sometimes fail to pay attention when on country roads. The recent government road safety campaign, ‘Think’, warns drivers not to be complacent. Unfortunately many drivers learn to drive in towns and cities and can pass their test without having any experience on country roads. This can lead to a potentially dangerous lack of preparedness when venturing into rural areas. The most important tip is to be alert and aware at all times. Country roads can conceal all manner of potential hazards, including sharp bends, potholes, dirt, gravel, tractors and farm animals. Sharp bends can be very dangerous, and research shows that 34% of drivers admit to taking a bend too fast. In the country it is often the case that verges, bushes and trees can block your view. When approaching a sharp bend, it is essential that you reduce your speed by braking before the bend. This will give you time to react to unexpected hazards. The speed limit on rural roads is 60 mph but you should not see this as a target. You should aim to drive well below this speed in the countryside as visibility can often be compromised. In fact many people do precisely this and the average speed on country roads has been recorded as 48 mph. Remember the golden rule to drive at a speed that will allow you to stop within the clear section of road you can see ahead. This speed should be reduced if the road is wet or slippery. 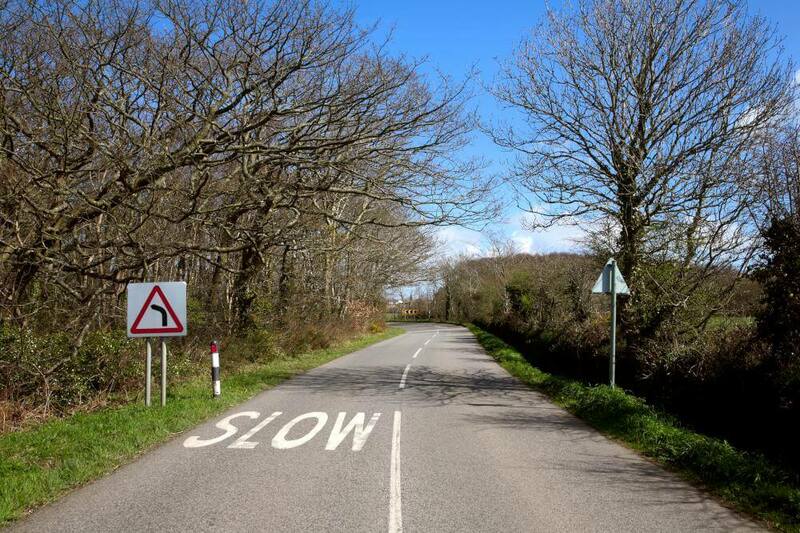 If there is a slow moving vehicle ahead of you, resist the temptation to immediately overtake. Your visibility may be impaired by bends or dips in the road and you run the risk of driving into oncoming vehicles. Pay attention to vulnerable road users such as horse riders, cyclists and pedestrians. Always reduce your speed and pass wide. Watch out for wildlife too. There are often road signs alerting drivers to animals in the area. If you see an animal on the road, reduce your speed until it has crossed safely. Lanes School of Driving has been teaching the public to drive since 1914. We grew our business through word of mouth and today we are one of the largest driving schools in the country. At Lanes we are happy to offer drivers who have passed their test the Pass Plus Course. This course covers driving on quiet country roads as well as busy main roads, motorways, night driving, difficult weather conditions and dual carriageways. We highly recommend it for all drivers thinking of driving on country roads. Why not give us a call today to find out more.